Why is the Green-lipped mussel so special? The Green-lipped mussel (Perna Canaliculus) is a mollusc that lives only in and around the coastal waters of New Zealand. It naturally contains Glycosaminoglycans (including glucosamine and chondroitin sulphate) and omega-3 fatty acids. In addition to EPA and DHA, it contains particular fatty acids DTA, ETE and the rare ETA. The Green-lipped mussel in Synofit is not just an extract or powder. In Synofit, the high quality GLMax® is used: a stabilising liquid substance made from 100% pure Perna canaliculus. This contains all the natural ingredients still in their original consistency. In dry extracts and powders, most beneficial ingredients are lost when processing. Read more about GLMax®. 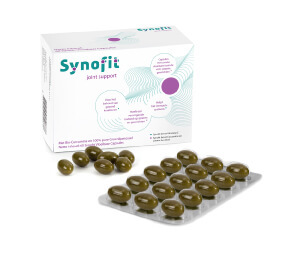 Why doesn’t Synofit use a Green-lipped mussel extract? In Synofit no Green-lipped mussel (also Greenshell mussel) extract is used, because an extract always retains and concentrates only one or just a few components of the original ingredients. When the Maori used the Green-lipped mussel, and this food became famous worldwide, the Green-lipped mussel was eaten in its entirety and raw. When processing, certain substances get ‘purified’. This means that other elements are removed. There are products that only contain the fatty acids of the Green-lipped mussel. Which means that there is no Glycosaminoglycan (Glucosamine and chondroitin), proteins and other tissues present anymore. There are also products that only contain ‘pure Glucosamine’ from the Green-lipped mussel. But then the Omega-3 fatty acids, the furan fatty acids, proteins and tissues of the animal are absent. This detracts from the totality of ingredients and therefore Synofit does not use Green-lipped mussel extract, but a 100% pure Green-lipped mussel (GLMax®). In Synofit all the ingredients are still present in their original form and composition. Why doesn’t Synofit use a Green-lipped mussel powder? Other Green-lipped mussel products usually consist of dry powder or capsules containing a powder. In order to be able to make a Green-lipped mussel powder, it is necessary to use a radical heating treatment. Not all substances in the Green-lipped mussel remain in their original state and many of the good ingredients will be lost. Actually, it would be best if we would eat the Green-lipped mussel straight out of its shell. Since that is not very convenient and for many it is unappetising, Synofit has chosen to offer the Green-lipped mussel in a liquid form(GLMax®), to keep all substances optimally preserved and stable. An additional advantage of a liquid is that its ingredients can be optimally absorbed by the gastro-intestinal tract. It is known, that in powder form, a relatively large portion is not absorbed by the body, but exits the body in the usual way. Because Synofit uses a liquid Green-lipped mussel, a relatively low dose is sufficient. GLMax® is high quality and it is well absorbed by the body. The Green-lipped mussel can live very well in New Zealand, in particular in the Marlborough Sounds. That is why this area is protected and the Green-lipped mussel is specially cultivated here. For a photo impression of a Green-lipped mussel nursery, click here. The “International Conservation Organisation Blue Ocean Institute” categorised the New Zealand Green-lipped mussel as one of the two most ‘eco-friendly seafoods’ of the world. More and more people use a product with Green-lipped mussel. Therefore, also more and more people share their experiences. Using Google search you can find them easily. IIn Synofit, apart from 100% pure Green-lipped mussel, Curcumin and Blackcurrant leaf is also used. 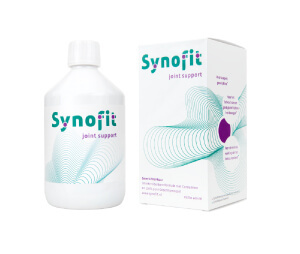 That liquid combination gives Synofit a nurturing effect on muscles and joints. 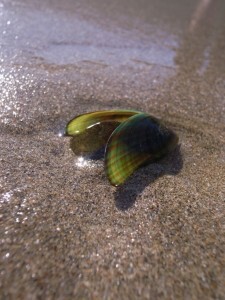 Would you like to learn more about the Green-lipped mussel? Through the contact form you can ask your questions, or consult Google for more information.